My remote explosive is causing me serious trouble. As Hitman’s meticulous and well-trained assassin Agent 47, I’m used to getting in and out of tense situations without so much as a suspicious glare. But the guards… they keep finding the bomb, a black circular charge I affixed to the back pillar of a pavilion where my target is meeting a Russian agent. I’m disguised as an elite security member, but my cover is blown if they see me so much as touch the thing. If I put it out of the guards’ sight, Decker — he’s the Russian — or his bodyguard will find it, and they’re the bait. I need Decker both unaware and close to the bomb, so he can lure Victor Nabokov — he’s the target — out of the Paris mansion where he’s overseeing a high-profile fashion show. So I let a guard find the explosive. The black-clad man scoops it up quizzically and I follow him to a secure location away from prying eyes, where I take him out with a chokehold and steal it back. Back in the garden, I distract Decker and his guard with a coin toss, providing a precious couple of seconds to replant the charge. The other guard I catch on a smoke break near the Seine and flip him by the legs head-first into the water. Yet I forgot something crucial. As Nabokov approaches, his personal detail does a wide tour around the meeting spot and locates the bomb with ease. Everyone is looking at me now. The music becomes shrill, and guns are being drawn. Nabokov yells out, asking me to stop moving, but it’s too late. With my back turned, I begin to retreat and click the detonator. Challenge complete. While it may sound like one seamless scenario, the above feat took me close to an hour to carefully orchestrate after countless failures. And I still almost blew it in the end. InHitman, you’re rewarded not for performing signature assassinations quickly, but by exhausting every possible scenario to discover an optimal path. Even then, you must play it out with perfect precision and patience. It’s that formula that makes developer IO Interactive’s new episodic format so much more appealing for the age-old franchise. Instead of trying to follow a linear story, you can enjoy Hitman’s depth as it was always meant to be enjoyed: obsessively. With IO’s new installment, you don’t have dozens of levels you have to churn through, connected together with an overarching plot. Instead, the new game is being released in chunks, with one of three mammoth stages coming out once a month followed by three additional expansions set in the US, Thailand, and Japan. The series has always created elaborate sandboxes for you to explore, with multiple different assassination styles to take out your targets. But what makes playing the new episodic Hitman different is its more welcome embrace of the achievement-hunting, completionist fanbase it’s always attracted. Each new level is jam packed with elaborate causal systems, secret conversations, and easter eggs. The first full environment you have access to — the Paris fashion show — costs $15. Yet it easily contains upwards of 15 hours of dynamic entertainment you can’t get from any other Hitman game. I spent that much time, and possibly more, on Paris alone without ever touching the game’s second episode set in Sapienza, Italy. In Paris, there are 26 different ways to assassinate the level’s two targets, with dozens upon dozens of smaller challenges and neat discoverables. Instead of filling a standard game with levels some players may rush through and others may love, each episode of the newHitman feels like it has something for everyone. For the diehard fans, these environments are as close to gold mines as the franchise can offer. The structure also allows for more interesting storytelling. 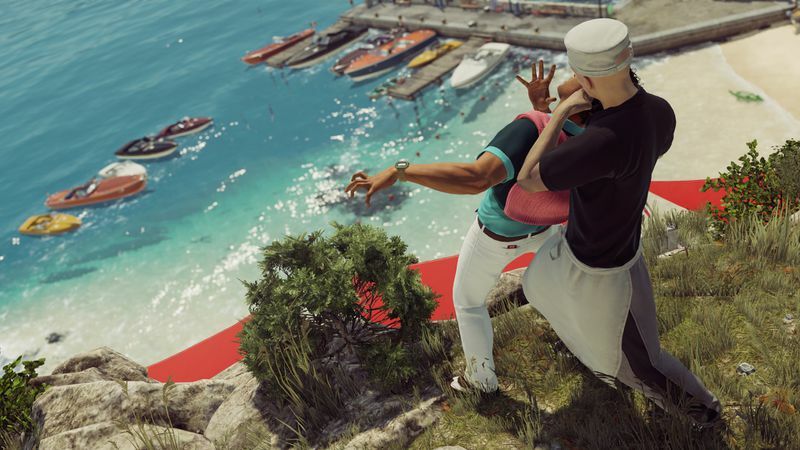 This episodic Hitman treats plots as layers to a real-life event, not as general arcs you’re force fed when you pull the right levers on your way from A to B. In Paris, you have to seek out all the different happenings that occur simultaneously over roughly 30 minutes. That means picking and choosing when to make crucial interactions occur, and exploring the branching situations to their fullest. If you don’t nail the right order of operations, you’ll miss key moments and opportunities will disappear. And stumbling on some unexpected chain of action now feels more like unearthing a realistic secret. When I took out Dalia Margolis — Nabokov’s wife and partner in crime — in plain sight, that meant her murder was reported to her husband. I got to witness Nabokov's phone conversation five minutes later, in which he tells security not to call the police yet so they can better stage the scene and cover up the secret auction happening upstairs. A moment later, I mixed him his favorite drink, having learned the ingredients by following a member of the bar staff in the basement. I made sure to slip in the cyanide pill before Nabokov took his first sip. The format is not perfect. These levels are overwhelmingly massive and confusing. So much so that IO had to include hand-holding segments called "Opportunities" just to show players how to get around. However, this new take on Hitman addresses many of the shortcomings of the series’ previous game, Absolution. The latter title came very close to replicating the kind of mind-boggling scale we get with Paris and Sapienza, but confusingly tried to weave a narrative throughout. Absolution was a sandbox game that rewarded replaying missions, yet it’s plot pretended the game was a tight and linear action game experience. The weird narrative decisions made the whole affair feel lopsided even if it did have the main hallmarks of a goodHitman game. I felt exhausted by the end of it, having tried and failed to get the most out of its dizzying number of stages. I also felt like replaying the whole thing would be a masochistic experience, so I put it down and never picked it back up. 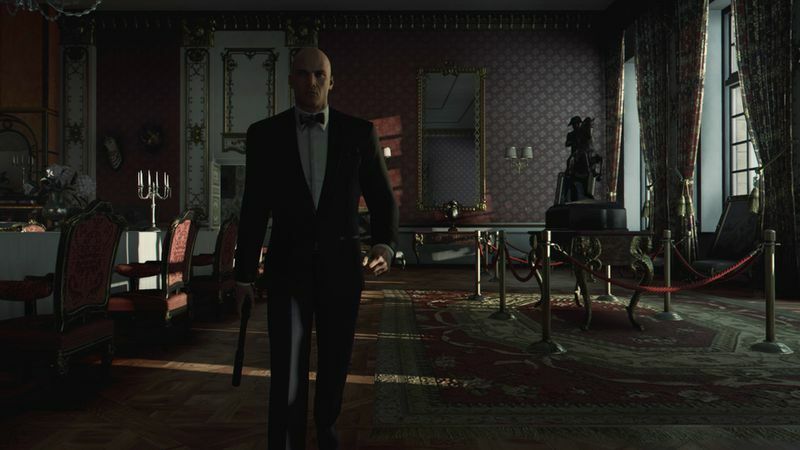 The new Hitman, however, both encourages and enables that kind of constant replaying by putting its focus on painstakingly designing just a few environments. I've also found that I enjoy the breathing room in between episodes -- it gives me more room to explore. Each episode functions like a new contract Agent 47 undertakes in an exotic locale, and you can spend hours investigating all the tools at your disposal. After having completed some of the more impressive challenges in Paris this past week, I felt I could finally boot up Sapienza and get started afresh. Within the first 10 minutes, I was already intimidated by the scale of the seaside town. There are 28 possible assassination styles. That’s not to mention a living, breathing city with its own narrative under the surface, all told through dozens of unique interactions. Even when disguised as a vacationer, Agent 47 never cracks a smile. Yet I’m excited. Where do I even begin?